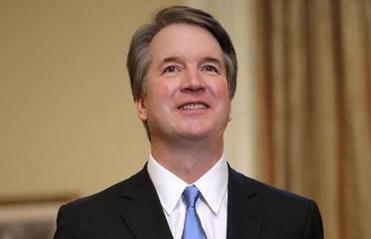 Several senators have said they would not vote to confirm Judge Brett Kavanaugh as a Supreme Court justice if they believed he would vote to undo the basic protections for women upheld in Roe v. Wade and other cases. So if his testimony and his meetings with those senators had exposed that as his almost-certain path, they would vote no. But the only reason his public testimony and private meetings didn’t reveal such a clear inclination is that Judge Kavanaugh dissembled about his views, calling the Supreme Court’s abortion rulings “precedent on precedent,” as though that rendered them safe from his slippery keyboard. The truth is it does nothing of the kind. Which means that senators who have, rightly or wrongly, made that a litmus test face a rendezvous with destiny in deciding on this nominee. Why, then, are senators whose pro-choice commitments would require them to vote no on Kavanaugh still considering voting yes? The answer is depressingly clear. This nominee has given them cover by deceptively masking his anti-choice, anti-LGBTQ, anti-disability-rights views. No, I’m not suggesting that Kavanaugh has it in for women, gays, or the disabled as such. But his judicial philosophy, one evident in his entire professional life, is that only rights expressly enumerated in the Constitution or sanctified by long tradition should be judicially protected from legislative majorities. And that philosophy leads him inevitably to conclusions hostile to the rights in question. All this — and not his now-famous fondness for beer — is what endears him to the Trump base. Not to mention his unusually expansive views of presidential powers and privileges, which single him out from other prospective nominees and could well explain Trump’s stubborn insistence on rushing his confirmation. There are some lessons in the conservative victory that’s likely to come, no matter how much Democrats protest. So how has he pulled the wool over the eyes of senators like Susan Collins of Maine and Lisa Murkowski of Alaska? By intoning that Roe v. Wade and Planned Parenthood v. Casey are “settled law” in the form of “precedent on precedent.” Gobbledygook. That newly minted moniker, designed to sound like “super-precedent,” is in fact nothing of the sort. Indeed, a whole section of the Casey opinion discusses the supposedly binding force of judicial precedent and ends up holding that the force is, well, not really binding on justices at all. They are free to reconsider and overturn any precedent they conclude reflects basic error. As the dissenting justices emphasized in Casey, the majority was in fact not adhering to, but diluting, the holding of Roe v. Wade. That’s the basic sleight of hand Kavanaugh used to give pro-choice senators an excuse to vote for him. When a Justice Kavanaugh votes to deprive women of the right to control their own bodies and lives, those senators will have no basis to claim they’re “shocked, shocked” that he has done so. 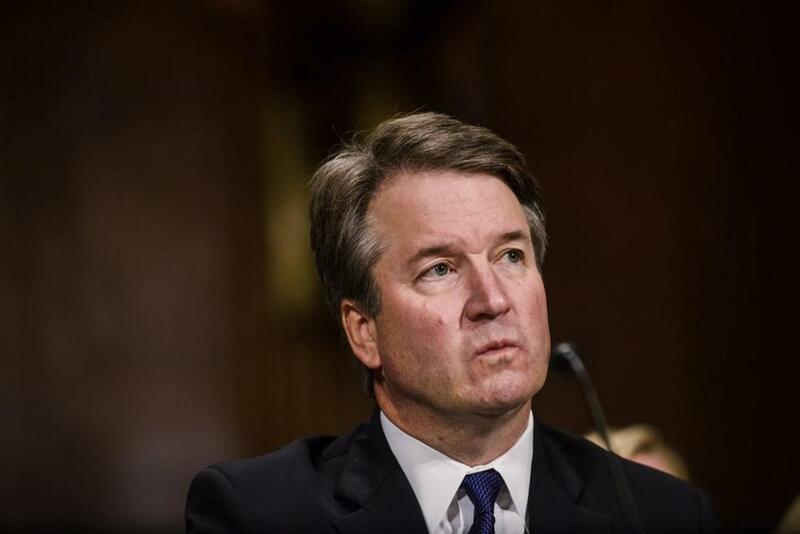 One must conclude that, in this central respect as in so many matters of detail about his own troublesome biography, Kavanaugh was channeling the habits of duplicity that are the hallmarks of the president who nominated him. It may be that Senators Collins and Murkowski genuinely want to protect their pro-choice constitutents in Maine and Alaska and truly believe Kavanaugh. Or it may be that they simply need something to point to as an excuse when a nominee they backed proves to be a wolf in threadbare sheep’s clothing by voting to undo abortion rights. Either way, it’s crucial to realize right now that this wolf has no clothes at all.